The Supreme Court has ordered the military to complete the inquiry against officers involved in the Asghar Khan case within four weeks. 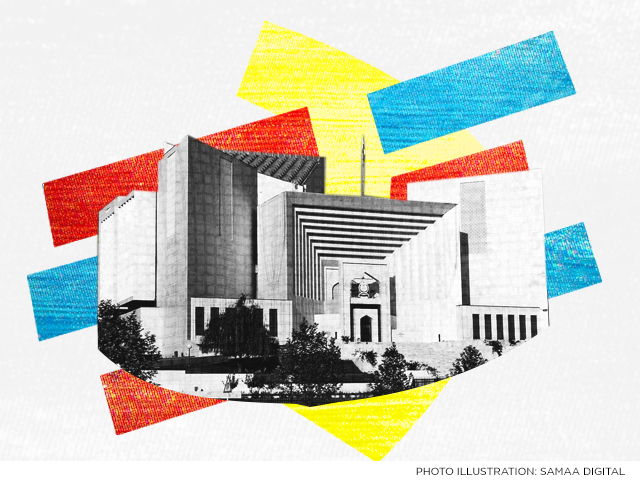 During the hearing on Monday, a three-judge bench, comprising Justice Gulzar Ahmed, Justice Ijazul Ahsan and Justice Faisal Arab, said it will examine the FIA’s report in the case along with the defence ministry’s reply. The hearing has been adjourned for four weeks. The military authorities are not even willing to give the addresses of their people, said Justice Ahsan. The FIA just wants to give up, remarked Justice Ahmed. The court directed the Pakistan Army to complete the inquiry against its officers involved and submit a report to the court in four weeks. It wants to know what the army plans on doing next. After examining the FIA report and defence ministry’s reply, the court will ascertain whether or not its order was implemented. Why hasn’t a court martial been initiated against these officers, asked Justice Ahmed. Attorney General Anwar Mansoor Khan informed the judge that the court martial will be initiated once the investigation is complete and evidence is collected. In cases of fraud or corruption, a court martial can be initiated even after retirement, he informed the court. Justice Ahmed also asked the attorney general why the MQM and its founder Altaf Hussain were not mentioned in the case or FIA report when they too had been given money. Khan, however, said Altaf’s name was in the FIA report. He is not in Pakistan, he explained. Justice Ahmed asked why he wasn’t in the country. Talks are ongoing with the UK government regarding the extradition of Altaf and some other suspects, explained Khan, adding that these talks are progressing swiftly. On January 11, the Supreme Court rejected the FIA’s request to close the Asghar Khan case due to lack of evidence. Then chief justice Saqib Nisar had said that no matter what, the Asghar Khan case should be investigated. The case, filed in June 1996 by Air Marshal (retd) Asghar Khan, who passed away on January 5 last year, involved allegations that money was distributed by the ISI to politicians to create the Islami Jamhoori Ittehad and stop the PPP from coming into power in 1990. The air marshal had said an alliance of nine parties, including the PML, National Peoples Party and Jamaat-e-Islami, received money from the ISI before the 1990 elections. He claimed Nawaz had allegedly received Rs3.5 million, Mir Afzal Khan Rs10 million, Lt Gen Rafaqat Rs5.6 million (for distributing money among journalists), Abida Hussain Rs1 million, the JI Rs5 million and senior journalist Altaf Hussain Qureshi Rs500,000. The FIA had launched its investigation into the case at the end of 2013, almost a year after the Supreme Court ordered an investigation into the distribution of Rs140 million to thwart the PPP, which was then led by Benazir Bhutto. On August 11, 2018 the Supreme Court asked the FIA to submit a progress report in the case. It had issued notices to the respondents, including former premier Nawaz Sharif. On June 9, 2018 Nawaz Sharif and JI head Sirajul Haq submitted their written replies in the case. Rejecting the allegations that his party received Rs3.5 million from the ISI in 1990, Nawaz Sharif said he did not receive any money from the agency to run the election campaign.